At Poem 88 you get something extra, a lagniappe. It’s not a cheapie thrown in like a thirteenth beignet, though. It’s something fully nourishing, a dish in itself. During the current show, it’s the title theme, “Et in Arcadia ego.” Even in that idyllic village, people die. Poem 88 refers you to the paintings that address this idea, and then draws a connection to the works currently on display. It’s delicious. The three artists in the show make works that refer to a kind of idyllic village. 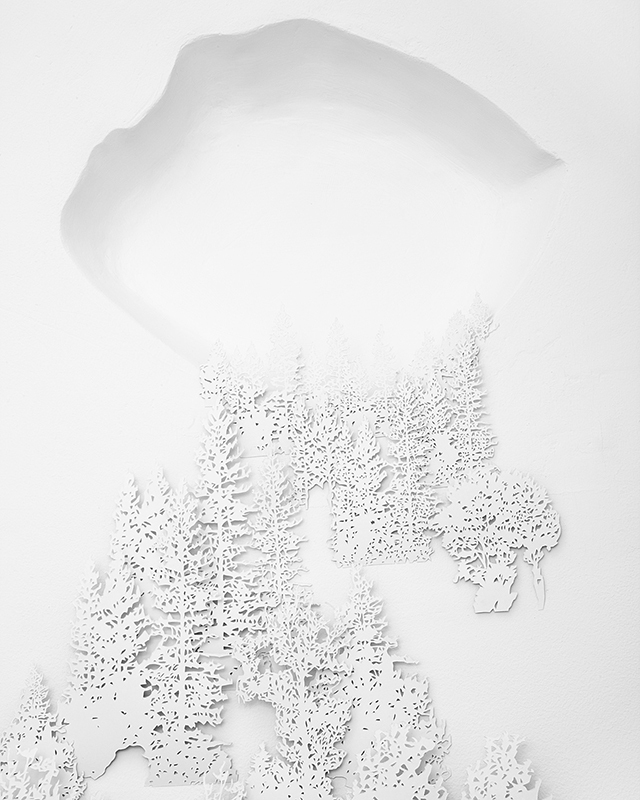 Allyson Ross shows sculptural works on paper, and they depict scenes from the Yosemite Valley. 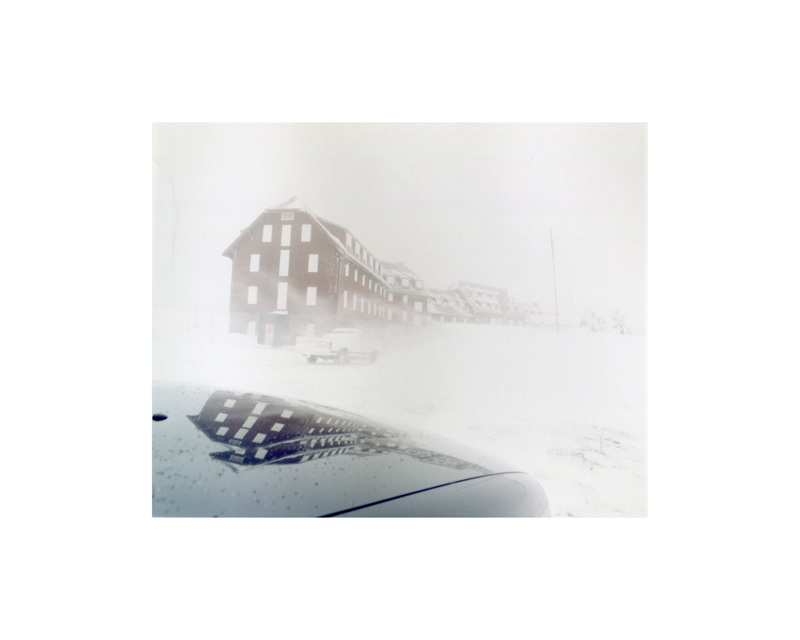 Ted Fair shows photographs that seem to be from a spirit of purposeful wandering to find the strange juxtapositions in the American landscape. 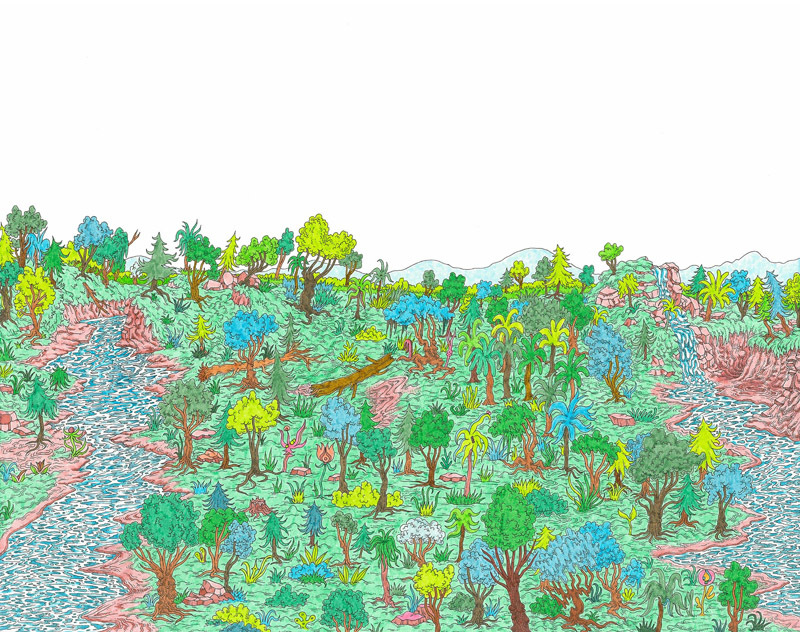 Sean Abrahams shows drawings that manifest an artist’s imagining of a specific cartoon-like wilderness. This entry was posted in Art in Atlanta, Uncategorized and tagged Allyson Ross, Cartoons, Drawings, Eadweard Muybridge, Et in Arcadia ego, Idylls, Nature, Photography, Poem 88 gallery, Robin Bernat, Sculptural paper, Sean Abrahams, Ted Fair, Yosemite on June 4, 2013 by Bryan Alexander.